How Do I Choose the Best Fungicide and Insecticide Combination? Consider whether certain fungicides and insecticides might harm beneficial insects or the environment. 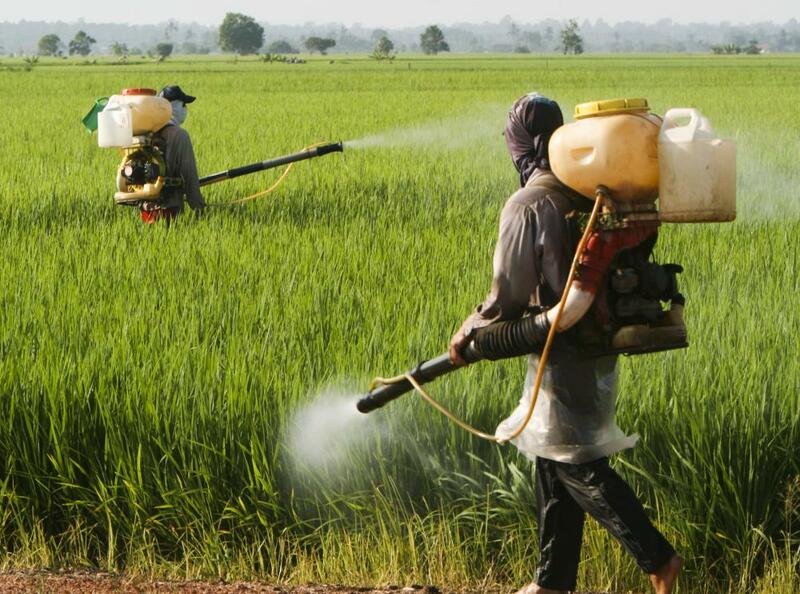 Fungicide can be used in combination with insecticide. Among the most important factors to consider when you are trying to choose the best fungicide and insecticide combination is its likely effectiveness against the specific fungi and insects with which you have a problem. You might also consider whether or not the preparation will kill insects you deem beneficial, harm the environment, or represent a safety risk for your family members and pets. The conditions under which you have to apply a product may also factor into your decision. Additionally, any necessary waiting period between application and harvest may prove important as well. Unfortunately, not all fungicide and insecticide combinations are good for all types of problems. As such, choosing the best product usually means selecting the product carefully based on the specific types of fungi and insects you are trying to destroy. It is also important to consider the other types of organisms that will be present in the area you are treating. Some products, for instance, might kill beneficial insects, such as those that prey on insects that actually hurt your garden or other vegetation. Safety is also important when you are trying to choose the best fungicide and insecticide combination, and some products represent more of a danger to the environment, your family, and your pets than others. The best fungicide and insecticide combination is usually the one that presents the least amount of danger. Some people, however, view any amount of danger as too much and choose to work with organic, nontoxic remedies that may not always work as quickly but are typically less harmful. Others weigh the benefits versus the risks of such products before deciding whether or not to use them. You may do well to use similar tactics for deciding which products to use. You can also select a fungicide and insecticide combination based on the conditions under which you plan to apply it. For instance, there are some types of preparations that can cause damage to plants and surfaces if you apply them when the weather is very hot. Others may prove less effective in cold weather or lose their effectiveness if it rains soon after application. Additionally, there are some that can stain surfaces. For these reasons, you may do well to carefully read the labels before you choose a product. For garden fungicides and insecticide combinations, you may also do well to consider whether and how soon you plan to harvest the plants you are treating. If you are treating fruits and vegetables, you will want to make sure the residue from the treatment won't translate into risk when you eat them. Many products provide instructions for cleaning edibles that have been treated as well as information about the amount of time you should wait to harvest edibles after you have treated them. 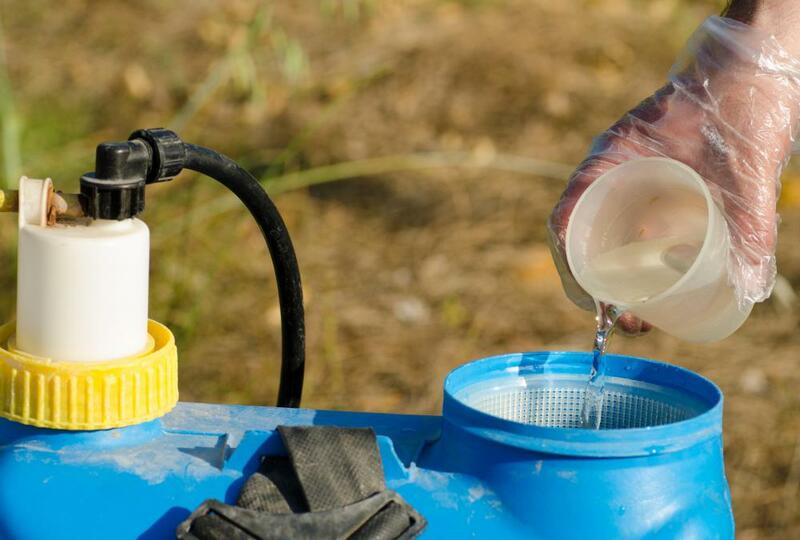 What is the Difference Between Pesticide and Insecticide? What is a Tree Injection? What are Some Natural Insecticides? How do I Apply Fungicide to my Garden?